If you've been paying any attention to hip hop news lately, you know that a few people are in their feelings over the success of rapper Iggy Azalea. The general consensus for some is that Iggy is just another example of the ever present "white washing" of black culture. There are some people (including Iggy) who can't seem to understand what the problem is. 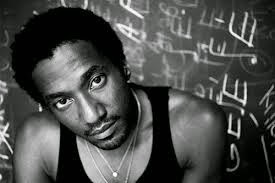 Today among a lot of other twitter exchanges, one of hip hop's dearest contributors Q Tip took to his twitter account to try and shed some light on the issue. He began his rant without @'ing Iggy directly but a couple of tweets in he decided it's best to enlighten Iggy directly so she could better understand why people are so frustrated with her in hip hop. 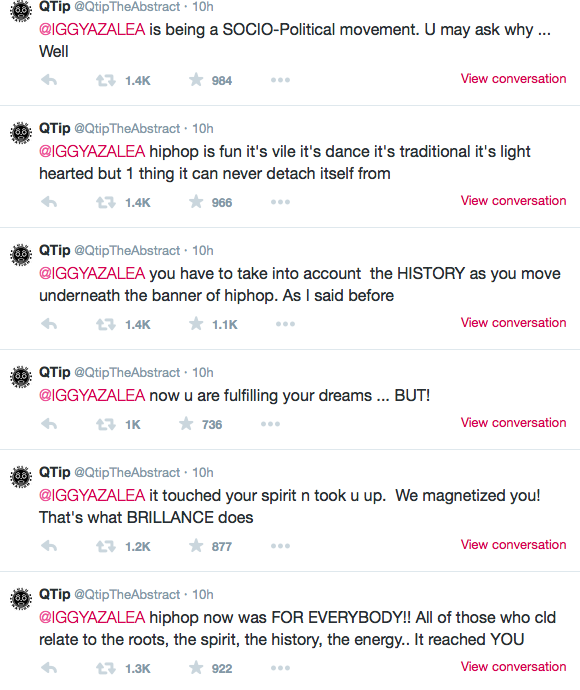 It's certain that QTip wasn't trying to demean or discount Iggy in any way, he made that clear during his rant. 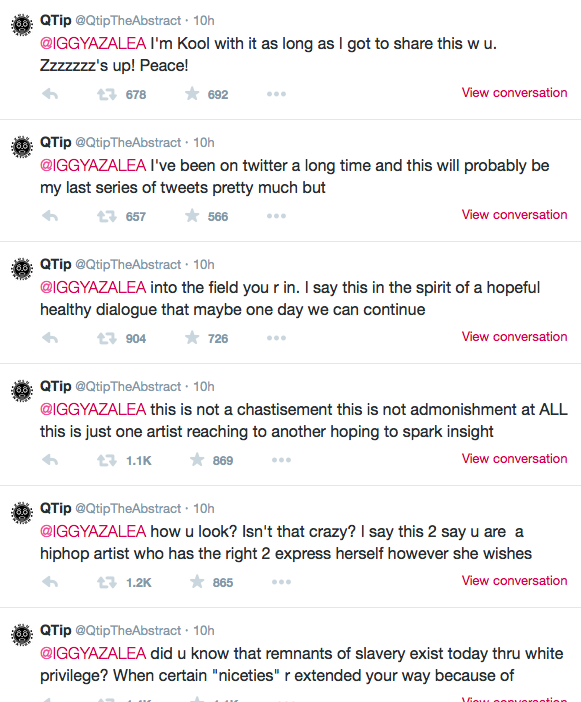 Even if you don't agree with QTip's point of view it's worth mentioning that he didn't disrespect Iggy as a person. 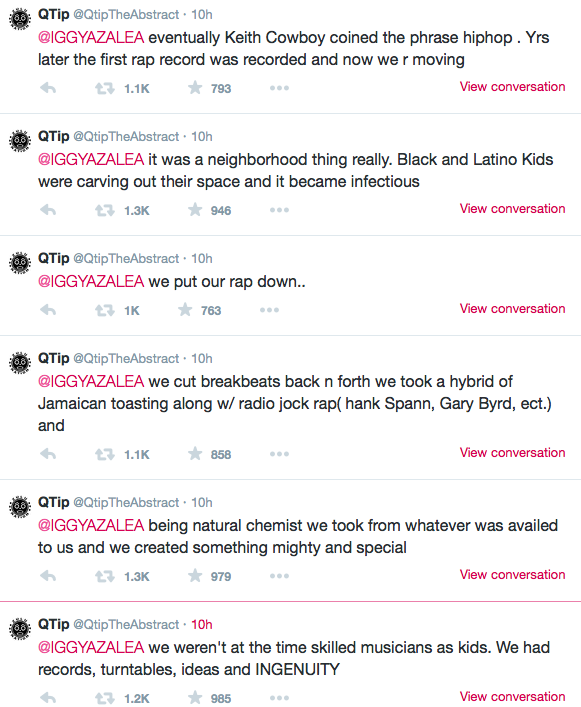 For me, that was the best part about his rant, it's basically a history lesson in hip hop. 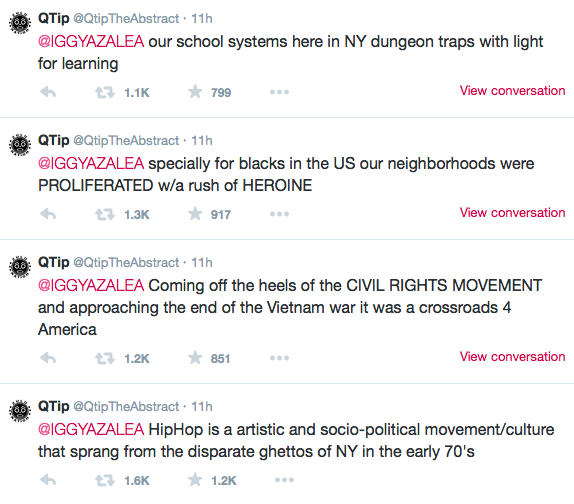 I don't see this Iggy issue changing anything, but I'm glad to hear QTip's thoughts on it. Check his full rant below. 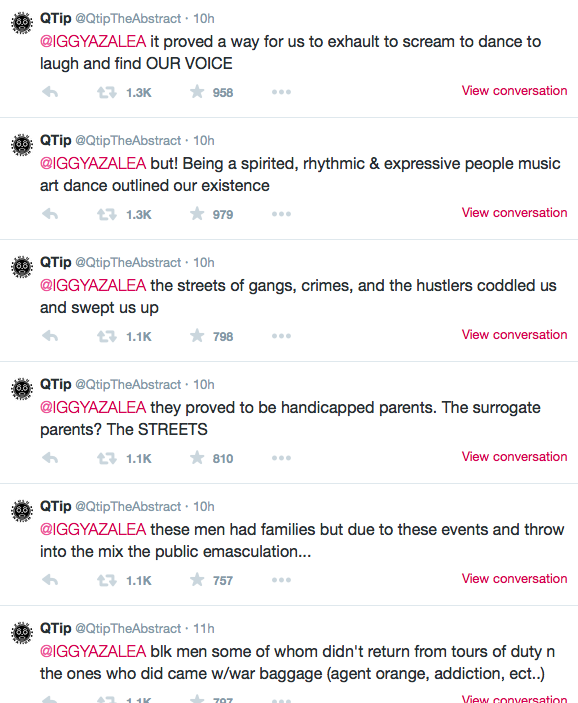 In other news on Iggy, another account on twitter- known as The Anon message threatened to expose a side of the rapper that no one wants to see. 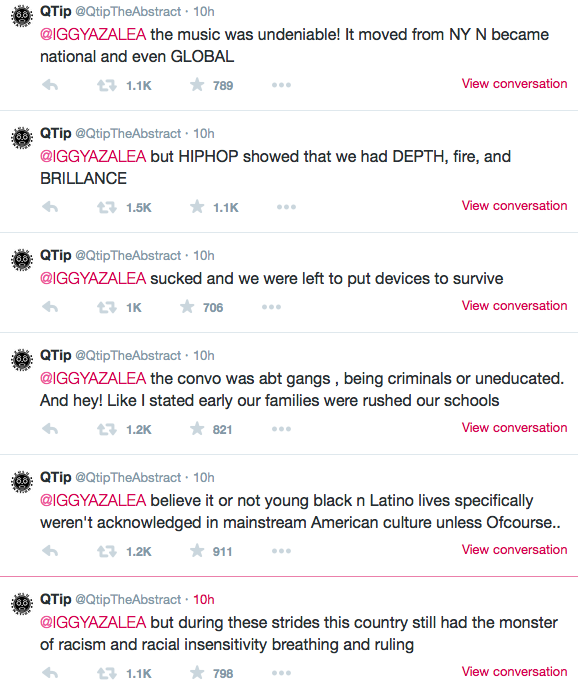 The account claims to have material that would shatter Iggy's career and public image. 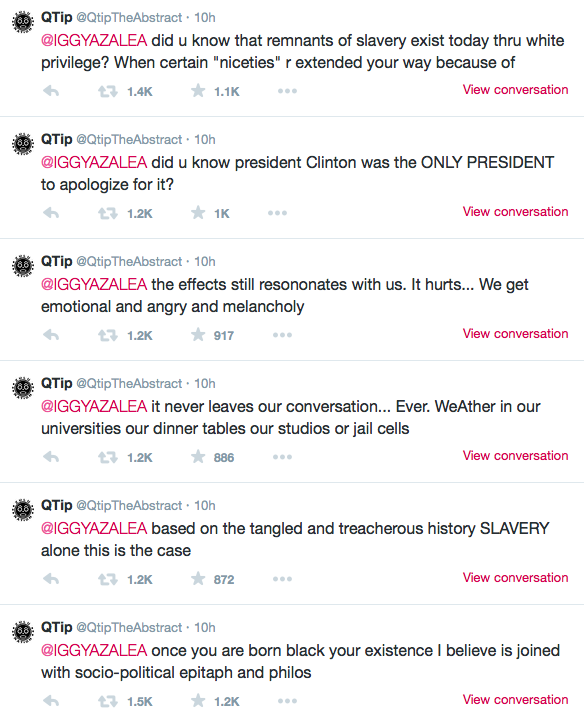 They're asking her to apologize to rapper Azaelia Banks and the protesters in Ferguson. Banks attempted to blast Iggy on twitter regarding her love for black culture but apparent silence in the recent movements for the appreciation of black lives. Iggy responded that getting involved meant way more than just igniting fan frenzies on twitter. Fox Nation tried it with my fave. While describing a meeting Jay was called to by the mayor Bill De Blasio, the folks over at Fox decided to refer to Jay as simply- a former crack dealer. I had so much to say about this, but Jon Stewarts segment from his show pretty much sums up exactly what I feel about it. I just can't wait until Jay Z gets on his next feature and addresses Fox for their headline. 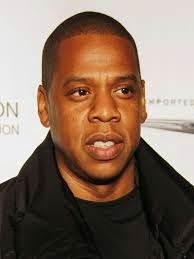 Jay has accomplished so much since his crack dealing days. Check out Jon's segment on Fox and Jay below.